Many bloggers set up a single sidebar and then include that sidebar on every page of their blogs. But what happens if you have categories that would benefit from different sidebar content, or pages on your blog where you'd like a custom sidebar? Maybe you want to place hand-picked affiliate ads, or you want to promote different books on different sections of your blog. Whatever your reason, you can create custom sidebars and have them appear only where you want them to on your WordPress site. If your blog or other WordPress website is a good candidate for custom sidebars, this plugin is a great place to start. You can set up new sidebars to replace the default one (or to replace other widget areas in your theme). Have a custom sidebar for each blog category. Set up custom sidebars for specific pages (such as a special sidebar with a contact form for your contact page or a sidebar with your personal bio for your blog's About page). Create custom sidebars for different post types, if you're using custom post types (such as having a different sidebar for the portfolio section of your site). 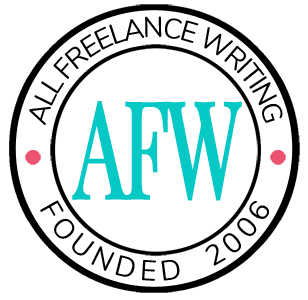 This is a plugin I personally use, including here at All Freelance Writing. And I have plans to use it even more extensively in the near future. I'm lucky that my theme here already comes with the ability to swap different sidebars in for different areas of the site. But the number of custom sidebars is limited. Any more, and the plugin comes into play. Not all themes have that option. So if you've felt stuck with a single sidebar, give the Custom Sidebars plugin a try. Promote your books and services more effectively. Share related posts with more relevant readers. You might be surprised at how much more flexible your WordPress site becomes with this plugin installed. Have you used this or a similar plugin before? What do you like best about being able to customize your sidebars? Share your thoughts in the comments. This is more compatible with Woocommerce. You can even switch menu using Dynamic Menu in it. Honestly, I’ve had nothing but negative experiences with the Woocommerce folks, so I can’t recommend their plugins. But for those who must use Woocommerce, then using their own plugin for this is certainly an option. I’m filing this under my “Jenn’s Advice” folder. Since I’m about to migrate a site from WP.com to WP.org, this is exactly the info I need to hang on to. Hi Jennifer, great article and I really like the video of the plugin! However when you are running a medium sized or big site, the Custom Sidebars plugin will slow it down significantly… have you experienced this? I was once searching for a plugin so I could display sidebars for posts in certain categories and after trying several plugins I found “Content Aware Sidebars”. It simply has amazing features and today it is one of the plugins I install on every site!